Exploring the intoxicating effect of video conferencing on a liquor distributor. 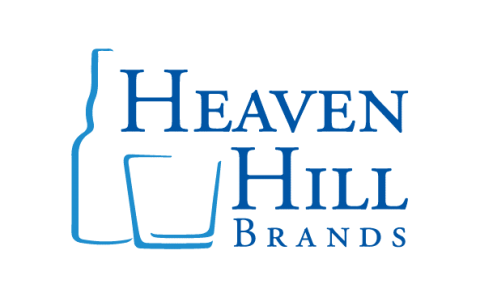 Heaven Hill Brands is the largest independent, family-owned and operated distilled spirits company in America. Overall, Heaven Hill is the nation’s sixth-largest spirits supplier. And worldwide, Heaven Hill is the second-largest holder of aging bourbon whiskey in the world. While the company fills roughly 1,000 barrels of bourbon per day, Heaven Hill ships millions of cases of all types of spirits every year, including rum, vodka, brandy, cordials and tequila. The company headquarters are in Bardstown, KY, and other facilities include a sales and marketing operation and the Evan Williams Bourbon Experience in Louisville, the Bourbon Heritage Center in Bardstown, and bottling and aging warehouses in multiple locations. Lifesize Cloud video conferencing allows Heaven Hill to maintain effective communications between these offices. To learn how Lifesize has helped streamline operations, we spoke with Danny Jackson and Brittany Capito, Heaven Hill’s IT Manager and Senior Brand Manager, respectively. Can you tell us how Heaven Hill is currently using Lifesize? (Brittany) The place where it’s really making an impact is in communications between our Bardstown corporate headquarters and our Louisville sales and marketing office. The two locations are about an hour’s drive from each other, and we’re able to use Lifesize in lieu of staff members’ having to drive back and forth. This has saved precious time for some of our most critical managers and staff members. Also, we’ve used Lifesize to connect with our field sales representatives. We employ a large number of field sales staff throughout the country, and they work from their home offices in locations close to our distributors. We have gotten very positive feedback from those that have used the system and hope to expand usage in the future. From the very first video conference, I really got a sense of the value of video over audio. Can you say more about the advantages of video conferencing over audio? (Brittany) The ability for us to see each other dramatically improves communication for a number of reasons. For one, everybody knows who’s paying attention and who’s not. (Danny) And then you get to read body language and facial expressions—the works. (Brittany) It definitely keeps me on my toes. With audio it’s easy to get distracted, but with video I feel much more engaged. How did you select Lifesize? (Danny) We looked at four or five other providers, and the reason we came back to Lifesize was just because it seemed to be more efficient running on the existing network that we have. Brittany and I went to see several sample Lifesize presentations, and it seemed to be a good fit for our company. Does Heaven Hill use any other collaboration tools? (Brittany) Yes. For more than a year before Lifesize, we used Skype to connect with one of our core marketing agency partners in New York. It was okay but didn’t offer nearly the quality that we have now with Lifesize. Do you have any other thoughts on video conferencing that you want to share? (Danny) From the beginning, Brittany and I were amazed by how easy Lifesize is to use and how quickly our colleagues adopted it. Everybody wanted to use it. Then we thought the novelty would wear off, but it’s only getting more popular. People just gravitate toward it. Even if they’re sitting at their desk and they have a laptop with a webcam, it’s easy to join via Lifesize Cloud as well. All around it’s proven to be very easy to use and a very useful tool. (Brittany) Yes, Lifesize definitely took off at all of our sites, and I think we’ll see this expand over the next couple of months. We’d like to start using it for several standing monthly meetings that involve staff members from both Bardstown and Louisville sites to further reduce travel between our offices. Overall, response has been incredibly positive.